Kariani is located near Asprovalta . 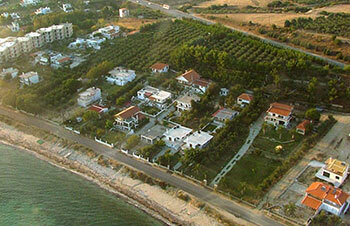 It is 65 min away from Thessaloniki airport (SKG). So it takes an hour to get there. It is a rather popular destination for tourists to spend their summer holidays . Due to that the village features hotels, restaurants, traditional taverns . It is a coastal settlement that provides the amenities of a rather cosmopolitan center . It’s a pole of attraction for many tourists both Greek and abroad. Thessalonikitaxitransfers undertakes your transfers with safety and reliability. Our rather luxury Mercedes E class cars are always clean and in an excellent condition. In addition our drivers polite and helpful are willing to undercover what a passenger needs with reliability. Consequently, book your airport picks up now. So you can start your holidays without stress and at the lower cost.